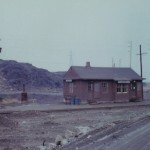 This location was formerly known as Copper Cliff when it was still part of the Algoma Eastern Railway and renamed Clarabelle when CP leased the AER in 1930 as CP already has another location called Copper Cliff on the Webbwood subdivision. 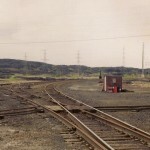 Clarabelle is the site of INCO’s main interchange with CN and CP. 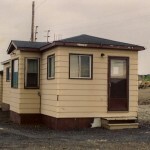 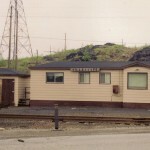 It was claimed that this little station handled some of the heaviest tonnage of any station in Canada.